Particle Chamber (2017) is an immersive new installation by Leo Villareal. Utilizing the latest projection technology to create dynamic points of light across a hemisphere of screens, Villareal enables visitors to encounter an ethereal chamber of ever-moving pixels algorithmically programmed to form infinitely new patterns. 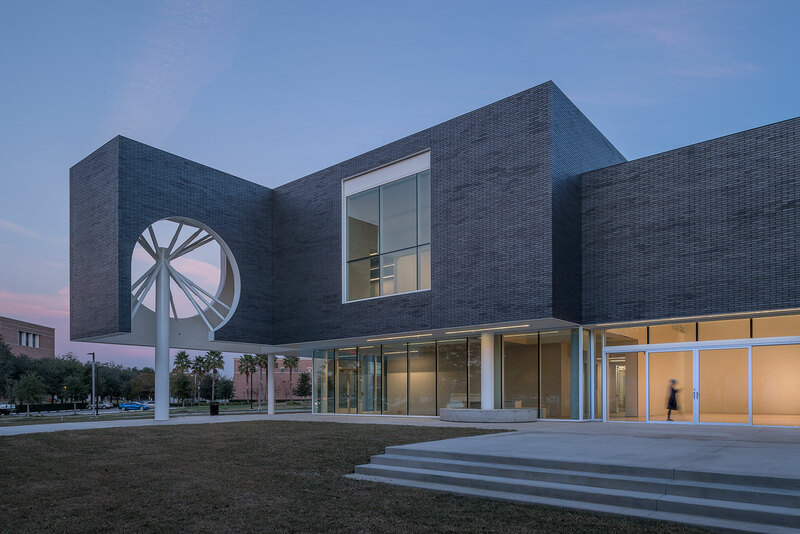 Particle Chamber complements Villareal’s existing work in Rice’s public art collection, Radiant Pathway. Commissioned for Rice’s BioScience Research Collaborative (BRC) building in 2010, Radiant Pathway features 92 light tubes that morph in an endlessly changing display of color and light. Both works highlight Villareal’s creative engagement with light, space, technology, and sensory perception. Villareal will visit the Moody on April 6 as part of its signature Artist-in-Dialogue series.